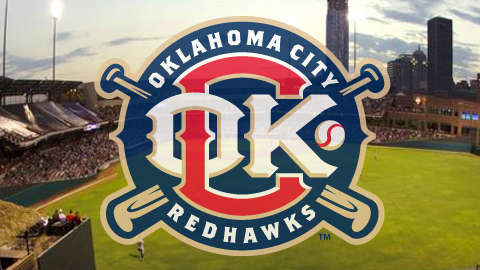 OKLAHOMA CITY – The Oklahoma City RedHawks announced they have joined the newly-formed Greater Oklahoma City Sports Consortium. The non-profit organization’s goal is to raise the economy and overall profile of the Oklahoma City metro area through sports and special events. The organization will be governed by a 15-member board. The RedHawks will occupy one of 12 permanent slots, featuring the area’s most influential members in the sports and special event industry. RedHawks President/General Manager Michael Byrnes will serve as the team’s representative on the board. Other permanent members of the Greater Oklahoma City Sports Consortium include All Sports Association, Amateur Softball Association, City of Oklahoma City, Oklahoma City Boathouse Foundation, Oklahoma City Convention and Visitors Bureau, Oklahoma City Thunder, Oklahoma City University, Oklahoma State Fair, Prodigal, SMG, and University of Central Oklahoma. The RedHawks begin their 2013 home schedule Friday, April 12 at 7:05 p.m. against the Memphis Redbirds. For more information on single-game tickets, partial season ticket packages or group outings, please call the RedHawks at (405) 218-1000 or visit okcredhawks.com. This article originally appeared on the official website of the Oklahoma City RedHawks. Click here to view the original story. 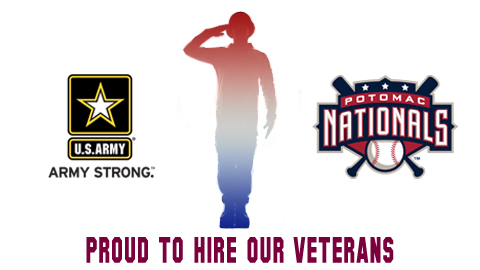 Woodbridge, VA- Minor League Baseball’s Carolina League and the Potomac Nationals are joining the U.S. Army in launching a pilot program focused on hiring U.S. Army Soldiers transitioning to civilian careers, veterans and their families for the 2013 baseball season. This initiative has stemmed directly from one of the Army Chief of Staff, General Ray Odierno’s top priorities of assisting soldiers transitioning from the Army, as well as Army Reserve and National Guard soldiers in finding jobs. “We must do our utmost to ensure that the Soldiers leaving the force are treated fairly and that they and their families are provided with support to help them successfully transition to civilian life,” said Odierno. This task falls directly to the U.S. Army Transition Strategic Outreach (TSO) and U.S. Army Reserve Employer Partnership Office (EPO), whose main mission is to provide civilian organizations Soldiers and veterans with proven leadership skills, work well as a member of the team, possess skills that allow them to efficiently perform under stress and solve problems while adapting to change. The pilot program will begin with Northern Virginia’s Potomac Nationals and, if successful, will expand to the other Carolina League teams throughout the season. “Those of us who have been in baseball a long time know the value of veterans as employees, and we are happy to share this experience with our fans and business partners. We are very proud that our Potomac club and the Army have taken this step, and I expect to be taking this initiative league-wide in the near future,” said John Hopkins, Carolina League President. The pilot program will be announced during the Potomac Nationals’ season opener against the Lynchburg Hillcats (Atlanta Braves) on Friday, April 5th where they will recognize the first veteran of the program to be hired, Retired Army Sergeant Arthur Bouvier IV. He will be given the honor of throwing out the first pitch and will be joined by officials from the Potomac Nationals and U.S. Army on field. Additionally, fans attending the game will be treated to the U.S. Army’s Fife and Drum Corps prior to the game for a special performance in honor of this initiative. “The Potomac Nationals are proud to be a part of this effort with the U.S. Army, and look forward to working with the great men and woman who have served our country with such pride, integrity and leadership. These are important qualities to the Potomac Nationals’ organization and we look forward to a great season,” says Potomac Nationals Vice President/General Manager, Josh Olerud. This new relationship between the U.S. Army, Potomac Nationals and the Carolina League is a part of an ongoing Army commitment to connect with the community, and to successfully reintegrate Soldiers, veterans and their families into civilian life. About The U.S. Army Transition Strategic Outreach Office: The TSO is the primary conduit for Employers and Industry to access the Army Talent Pipeline. Our staff of strategically-focused professionals serves as the Army’s preferred point-of-contact for Businesses and Hiring Managers – thereby facilitating the connection between transitioning Soldiers and potential job opportunities. We help Employers “navigate” the Army’s reintegration network by developing lasting Industry relationships. This targeted effort then builds the foundation for numerous long-term, value-added partnerships between Businesses and the Army. For more information visit: www.hrc.army.mil/tagd/ArmyTalentPipeline. About the Employer Partnership Office: The Army Reserve Employer Partnership program launched in 2008 with a mission to connect military-friendly civilian organizations that have employment opportunities to reserve or veteran status job seekers. There are currently has more than 3,700 Employer Partners with the Army Reserve across industries such as law enforcement, medical, and transportation and more than 45,000 job seekers registered with the Employer Partnership Office. For more information visit, www.employerpartnership.org. About the Carolina League: Founded during World War II, the Carolina League’s inaugural 1945 season featured two Southside Virginia cites. But throughout the 1940s and ’50s it was known as a predominately North Carolina League. Over its first 65 years, the Carolina League has established itself as one of baseball’s premier Minor Leagues, a circuit renowned for hot prospects, intense rivalries, memorable pennant races and excellent play. The league has fielded anywhere from four to 12 teams, in places ranging from metropolitan centers to tiny Red Springs, N.C., with only 4,000 people. For more information visit, www.milb.com. The Potomac Nationals Professional Baseball Club is the Class-A Advanced affiliate of the Washington Nationals and competes in the Carolina League. P-Nats 2013 season tickets and mini plans are on sale now. 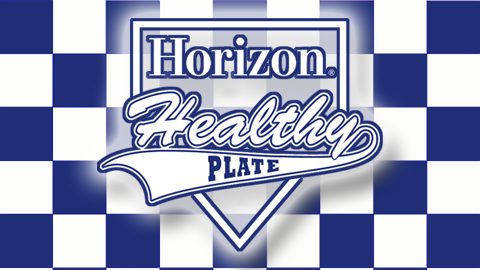 Renew your season tickets at Pfitzner Stadium for only $50 per seat. Sponsorship opportunities for the ’13 season are now available. Plan your corporate outing now in preparation for next season as the P-Nats offer discounted group rates and all-inclusive picnic options. Visit the P-Nats online at www.potomacnationals.com or call the ticket office at 703-590-2311 for more! CHARLESTON, SC – The Charleston RiverDogs will be offering military personnel $5 tickets all season at Joseph P. Riley, Jr. Park thanks to General Dynamics Land Systems-Force Protection. Plus, the club has planned several Military Appreciation Nights and military-themed promotions throughout the season. Fridays will feature a sea of red at Riley Park as the popular family-friendly General Dynamics Land Systems-Force Protection Red Shirt Friday returns. All fans who wear red shirts to the game on Friday will save $1 off the purchase of their ticket at the box office, plus RiverDogs players and coaches will be wearing special red digi-camo jerseys. The dollar saved by fans off of their ticket can be donated to benefit the charity Carolina Canines, a local charity which works with military prisoners at the Naval Consolidated Brig in Charleston and teaches them how to train rescue dogs as service animals for wounded and injured veterans. Additionally, information on the Medal of Honor Museum at nearby Patriots Point will be on hand throughout the season at the Guest Relations booth. 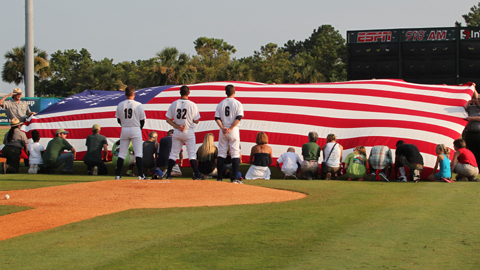 In addition to the military theme on Friday nights, the RiverDogs are also hosting three different Military Appreciation Nights: Thursday April, 25, Saturday July, 13 and Wednesday, August, 21. Each Military Night allows active and retired military members FREE entry for themselves and their family members by showing a Military ID at the box office. Also, the RiverDogs will be hosting Coast Guard Night on Thursday, May 23. This is a night to salute Coast Guard Sector Charleston. Game time is set for 7:05 pm as the RiverDogs host the rival Greenville Drive. The RiverDogs begin the home portion of the season on April 11 – a Thirsty Thursday – as the Augusta GreenJackets come to Joseph P. Riley, Jr. Park to open a seven-game home stand that also includes a three-game visit from the Rome Braves. For tickets, please contact the Riley Park Box Office at 843-577-DOGS (3647) or online at www.riverdogs.com. The Batavia Muckdogs today announced a new reading program, designed to promote reading amongst the youth of the local communities. Along with the help of Smoke Free NOW, 2013 will mark the first year of the “HIT THE BOOKS with the Batavia Muckdogs” reading program. As part of this program, the Muckdogs have provided various schools and libraries across local counties with customized bookmarks. On the back of these bookmarks, children can have a parent, guardian, teacher, or librarian initial each time they complete a book. When a child completes 10 books, they can redeem the bookmark at the Dwyer Stadium box office for a FREE TICKET to any Sunday-Thursday (excluding July 3rd) Batavia Muckdogs’ game! If a child reads 20 books, they will be entered into a drawing to win autographed memorabilia, opportunities to throw out a first pitch at a Muckdogs game and other great prizes. Stop & Shop will make a donation to the Food Bank of Monmouth and Ocean Counties for every BlueClaws strikeout. LAKEWOOD, NJ – The BlueClaws, in conjunction with Stop & Shop, will help Strike Out Hunger this summer at the Jersey Shore. 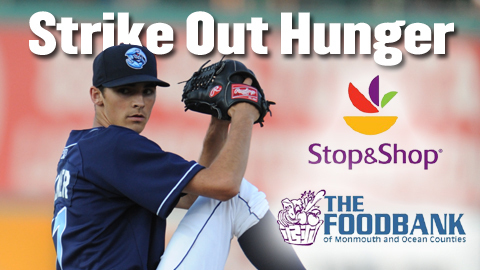 Each time a BlueClaws pitcher strikes out an opposing hitter at FirstEnergy Park, Stop & Shop will make a donation to the Food Bank of Monmouth and Ocean Counties as part of this new Strike Out Hunger initiative. “Stop & Shop focuses on improving the lives of children and fighting hunger in the markets it serves. We are proud to partner with the BlueClaws on this initiative to benefit the Food Bank of Monmouth & Ocean Counties. It is our way of giving back to the community and helping support those in need,” said Arlene Putterman, spokesperson for Stop & Shop New York Metro Division. BlueClaws.com will keep a running tally throughout the season. Further, on August 31st, Stop & Shop will sponsor a BlueClaws Lunch Bag giveaway for the first 2,000 fans 17 & under. There will be a presentation on the field before the game as part of the Strike Out Hunger program. The Food Bank of Ocean and Monmouth Counties serves over 260 pantries, soup kitchens and other feeding programs with almost 7 million pounds of food distributed annually. With the help of roughly 1,000 volunteers each year, the FoodBank’s programs are truly a community effort, working to eliminate hunger by providing emergency food, skills training, outreach programs and advocacy for families in need. For more, visit www.FoodBankMOC.org. Stop & Shop is proud to have donated over $29 million in 2012 through donations and in-kind support to help local communities fight hunger, combat childhood cancer, and promote general health and wellness – with emphasis on children’s educational and support programs. Stop & Shop operates 184 stores in the New York Metro Division with 62 stores in the state of New Jersey. Opening Day at FirstEnergy Park is Thursday, April 4th, as the BlueClaws kick off the season against the Kannapolis Intimidators (White Sox). Tickets for Opening Day and every regular season game, plus the 2013 South Atlantic League All-Star Game and Celebrity Hitting Challenge, are on sale now by calling 732-901-7000 or online at BlueClaws.com. (Vancouver, B.C.) – The Vancouver Canadians Baseball Club took part in Safeway Canada’s latest community initiative by partnering with Easter Seals Canada and Special Olympics Canada to launch a fundraising and awareness building campaign in support of Canadians with physical and intellectual disabilities. Through the month of April, Canada Safeway will be asking their shoppers to help support both Easter Seals and Special Olympics across Canada through a number of awareness campaigns. On Tuesday, the Vancouver Canadians were able to help Safeway Canada with their annual Umbrella Decorating Challenge. Located at Safeway in downtown Vancouver, C’s mascots Bob Brown Bear, Chef Wasabi and Ms. BC Roll joined a number of local celebrities including B.C. home building icon Shell Busey to decorate a number of bright and fun umbrellas. “Helping our neighbours living with a diverse range of abilities has long been a Safeway priority,” siad Canada Safeway President and COO Chuck Mulveena. “When we were asked to join in this community ‘call to action’, for the Vancouver Canadians, it was for certain that we would be here to help,” added Canadians Manager, Community Relations Jeff Holloway. Last year, over $1.6 million was raised during the annual campaign which sent hundreds of children with disabilities to Easter Seals camps and provided support for local programs offered through Special Olympics. The Vancouver Canadians Baseball Club is proud to support a number of local businesses including Canada Safeway who are committed to making our communty a better place. This story was not subject to the approval of the National Association of Professional Baseball Leagues or its clubs. Every Monday Pelicans home game will be a “Make a Splash Monday” at TicketReturn.Com Field. “Make a Splash Monday” enables fans to “connect with your community” and it is presented all season long by HTC. The Pelicans have adopted the “Backpack Buddies” program as the primary charitable partner of “Make a Splash Mondays.” “Backpack Buddies” provides food, books, clothing and school supplies to impoverished children so they have the tools to succeed outside of school hours. Each “Make a Splash Monday,” fans who donate an item listed on the “Backpack Buddies” donation list will receive half-price admission along with a complimentary autographed baseball card from a Pelicans player that features him doing work in the community. “Backpack Buddies” is part of the Help 4 Kids 501c3 and has been in existence since 1989 to provide basic necessities to the children of the working poor in Horry County. For more information on the program, check out the “Tickets and Promotions” section of the Pelicans Web site. The Myrtle Beach Pelicans are launching their “Make a Splash” marketing campaign as part of the team’s 15th Anniversary season on the Grand Strand. As part of the initiative, the Pelicans hope to raise $250,000 in an effort to make Myrtle Beach a better place to live, work and play. “The barometer for success in professional sports is determined by success at the turnstile and in how a franchise succeeds in becoming part of the fabric of their community,” General Manager Andy Milovich said. “We want to celebrate our 15th anniversary season by making new memories and changing lives for the better. Each “Make a Splash Monday,” fans who donate an item listed on the “Backpack Buddies” donation list will receive half-price admission along with a complimentary autographed baseball card from a Pelicans player that features him doing work in the community. A full list of accepted items can be found here. In addition to Mondays at the TicketReturn.Com Field, the “Make a Splash” campaign will feature charity ticket fundraisers, more than 10 of which are already scheduled. Additional efforts include Bruce Dal Canton fundraising, Miracle League Improvement and American Red Cross Blood Drives. Pelicans players and front office members will continue to volunteer community service time. The Pelicans will also be honoring companies and organizations that demonstrate their commitment to the community. Those organizations that submit a “Pelican Pledge” or are nominated by another party for their efforts in the community will receive complimentary tickets to “Make a Splash Monday” and will be recognized at the ballpark. Honorees will be recognized on the video board and would have a first pitch opportunity prior to a Pelicans home game. Check out our Splash Park. For more information check out the “Tickets and Promotions” section of the Pelicans Web site. The Pelicans open the 2013 season on Thursday, April 4 at 7:05 p.m. against the Wilmington BlueRocks. The first “Make a Splash Monday” is slated for April 15. To buy tickets or for more information on the “Make a Splash” campaign, call 918-6000. The Augusta GreenJackets are bringing baseball to the classroom with the GreenJackets Reading Program. The program is designed to give students fun incentives, while accomplishing reading goals at their school. Students are given a reading goal, which is set by the teacher during the four week program. At the end of each week, all the students who achieved their goal will be rewarded with prizes. The final prize for completing all four weeks of the reading program is a free ticket to a GreenJackets baseball game. At the game, students will be recognized in a pregame ceremony. The reading program has been a huge success so far this year. The GreenJackets have seen a significant increase in students involved from last year. Currently there are 58 schools participating. Although the GreenJackets Reading Program has already started, schools are still welcome to sign up. However, the entire school does not have to participate. The program can be done by just a grade level at the school or even an individual classroom. The GreenJackets will continue their involvement in the classroom when they unveil their Anti-Bully Program and Most Improved Student Program this spring. For more information on the GreenJackets Reading Program, call (706) 736-7889 or email Bill Levy at blevy@greenjacketsbaseball.com. 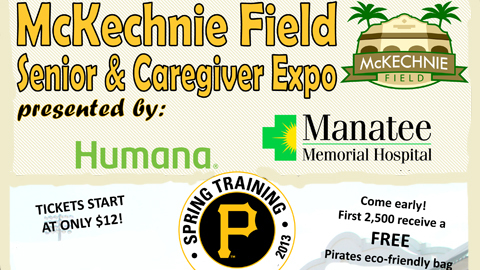 Bradenton, Fla. – The Pittsburgh Pirates will host a Senior and Caregiver Expo at McKechnie Field on Wednesday, March 27. The expo will run from 11 a.m.-3 p.m., coinciding with the Pirates Spring Training game against the Minnesota Twins. The game begins at 1:05 p.m. The expo is open to all fans attending the game at no additional cost. The event is presented by Manatee Memorial Hospital and Humana. Local businesses and non-profits that provide services to senior citizens will have exhibitor tables at the event. The first 2,500 fans will receive a free Pirates eco-friendly bag courtesy of the event sponsors. CARES Outreach Services of Sarasota will conduct free screenings for blood pressure, glucose/diabetes, and HIV in the roundabout outside the main gate. A TOTAL cholesterol screening will also be offered for $5. These screenings are available to the general public. Participants that opt for all four screenings can get their results in 15 minutes or less. In order to get the most accurate results, participants should fast for at least eight hours before the TOTAL cholesterol and two hours for the glucose/diabetes screenings. Free Distance Vision and Glaucoma screenings will be available from the Eye Associates Sight Mobile outside of the main gate. The Pirates are accepting exhibitor booth registration for the expo until Friday, March 22. To register a booth at the expo, call 941-747-3031 ext. 4161. All Pirates Spring Training tabling guidelines apply to expo exhibitors. Pirates Spring Training season ticket holders can exchange any unused tickets for tickets to the Pirates game on Sunday, March 24 and March 27. Exchanges are subject to availability restrictions and must be made in person at the McKechnie Field ticket office. Unused tickets to the Black and Gold Game and the exhibition against Team Spain are not eligible to be exchanged. For more information about the Senior and Caregiver Expo, call 941-747-3031 or visit www.BradentonMarauders.com. To purchase tickets to the game call 877-893-2827 or visit the McKechnie Field Ticket Office on weekdays between 9 a.m.-4 p.m., Saturday from 10 a.m.-1 p.m., or Sunday from 10 a.m. and 1 p.m. The SeaWolves and SeaWolves Student Ambassadors are collecting new or gently used baseball and softball equipment, including gloves, balls, youth bats, and catcher’s gear, from now through April 20. Fans are invited bring their items to the game on Saturday, April 20 or drop off equipment in advance at the SeaWolves Ticket Office. Items collected will be donated to Erie area youth organizations including Boys and Girls Baseball in Erie, Inc. This article originally appeared on the official website of the Erie SeaWolves. Click here to view the original story. The Silver Hawks collected monetary donations, bats, gloves, helmets and other various baseball equipment over the past few weeks on behalf of the Mishawaka Little League. The local community support will allow the little league to rebound after being vandalized. This article originally appeared on the official website of the South Bend Cubs. Click here to view the original story. The Myrtle Beach Pelicans are holding a three-day Youth Baseball Clinic June 11-13 at TicketReturn.Com Field. The clinic, open to youth ages 7-14, will run from 9 a.m. to Noon each day. -2 Grand Strand Reserve Box seats for the June 13th Pelicans home game vs. the Carolina Mudcats . 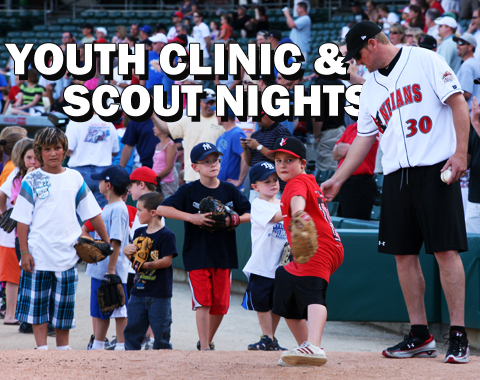 -A special ceremony recognizing all clinic participants will take place on-field prior to the game on June 13th . Purpose: The Myrtle Beach Pelicans Baseball Clinic is designed to teach students solid fundamental baseball skills as well as raise their level of understanding of the game baseball. We will provide each young player with the instruction and encouragement needed to develop individual skills. In addition, we want the young player to understand how individual skills may be incorporated into developing a team attitude. Participants will be divided by age and ability level. Equipment: Each participant must bring his or her own baseball equipment. Players should bring a glove, bat, running shoes, hat, helmet, and water bottle. Cleats are prohibited. Logistics: Please arrive at the ballpark at 8:30am on June 11th for check-in. You will enter through the main gate which is gate one. Parents are welcome to observe the camp from the picnic area. In the event of rain, we will move activities to the concourse area. Please label all equipment with the participant’s name. To register , call Dan Bailey at 843-918-6008 or fax completed form to 843-918-6001. 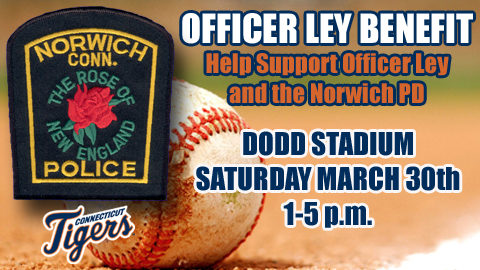 Norwich, CT – A benefit honoring recently wounded Norwich Police Officer Jonathan Ley and the Norwich Police Department will take place Saturday, March 30, 2013 from 1 p.m. to 5 p.m. at Dodd Stadium. Officer Ley’s benefit will celebrate courage, bravery and valor. Monies raised will benefit Officer Ley and his everyday living costs. Additionally, a portion of the proceeds will be donated to the Norwich Police Department to increase their supply of combat tactical gear for their officers. The event includes the area’s best food provided by Norwich and the surrounding towns, a softball game featuring the Norwich Police and the Norwich Fire Departments, music provided by the band “Malena”, a gamut of raffles, drinks and more! This is an event for the entire family with a bounce house, petting zoo, egg hunt and more! Saturday, March 30 is a day for families to unite and support one another and especially, the men and women who risk their lives, every day, to ensure our safety. To purchase tickets for the event at Dodd Stadium in support of Officer Jonathan Ley and the Norwich Police Department, please call (860) 887-7962 and press 0 to speak with a box office representative. For more information, visit www.officerleybenefit.com. Officer Ley was wounded in the line of duty on January 7, 2013 in Norwich, Connecticut. Officer Ley was first transported to Backus Hospital but then, hospital officials took him by ambulance to Yale New Hospital. From there, Doctors performed necessary procedures for Officer Ley. His current condition is good, but there is still a long road to recovery for this local hero. The Connecticut Tigers are the Class-A affiliate of the Detroit Tigers and play in the New York-Penn League. The Tigers will host the 2013 New York-Penn League All-Star Game on Tuesday, August 13. Tickets for this event, as well as season tickets and mini-plans for the 2013 season are on sale now. The Box Office is open 9 a.m.-5 p.m. Monday through Friday. In addition, tickets can be purchased over the phone at (860) 887-7962. For more information go online to cttigers.com. The Missoula Osprey’s biggest and most successful community program is the Hit the Books Reading Program, which is underway in nearly 30 Missoula-area elementary schools. 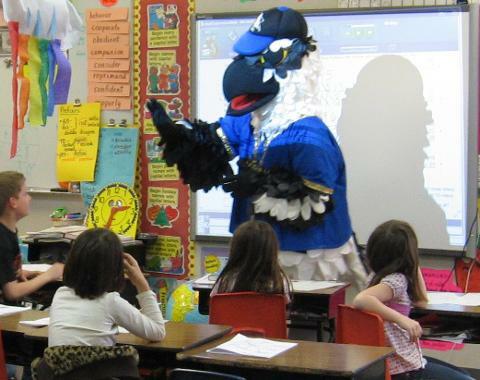 The 2012 Osprey Hit the Books Reading Program encouraged nearly 5,000 area students to read over 50,000 books. There are over 240 classrooms and almost 5,000 students signed up to participate in Hit the Books this year. The Osprey started the program during their inaugural 1999 season and participation has grown each year. At the time, no one knew how big the program would become and the impact it would make on the community. The program has grown to become one of the best reading programs in all of minor league baseball. Hit the Books is set up like a baseball game, meaning there are nine innings (three books equals one inning), and students receive a different prize for each inning completed. Each classroom is given Osprey reading charts, so students can track their progress. Every student that participates also gets a certificate of achievement from the Osprey and the opportunity to win a Kindle reader. Other prizes include pencils, erasers, pencil pouches, rulers, pencil sharpeners, Ollie Osprey magnets, an exclusive dessert party and ticket vouchers to an Osprey game. Over $100,000 in prizes was awarded to area students in 2012. Hit the Books is made possible in part by the United Way of Missoula County, who has been a strong supporter of the program over the years. The Hit the Books campaign gives students the opportunity to achieve goals and develop their reading and comprehension skills. The United Way’s “Live United” campaign’s current initiatives focus on helping children and youth fulfill their potential through education, improving financial stability for individuals and families, and improved health for all citizens. The program culminates with a celebration at one of seven Osprey home games designated as Hit the Books Nights, where students are honored for their achievements. For more information on becoming part of the program, contact Griffin at jgriffin@missoulaosprey.com. The Colorado Springs Sky Sox are proud to announce today a new partnership with Domino’s pizza that will showcase local charities. The new joint venture has been named the “Charity Spotlight” and is designed to help charities in the Colorado Springs area. In the current economic environment, many charities are working harder than ever to meet budgets to support the ever increasing demand for their services. Domino’s wants to provide these charities with an opportunity to market themselves and raise awareness for their causes at Security Service Field during the Sky Sox 2013 season free of charge. Any charity wishing to be considered for the “Charity Spotlight” can apply online at www.skysox.com where a nomination form will be posted. Members of the community can nominate their own charity or someone else’s. 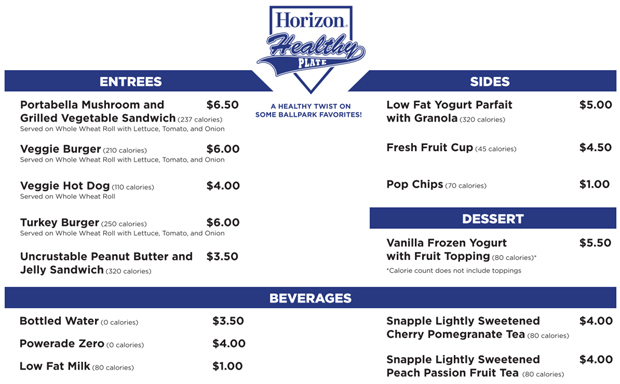 For more information please contact Alyce Bofferding at (719) 304-5625 or through e-mail at abofferding@skysox.com. In between, participants will take turns walking, running or otherwise circling the track “relay” style to raise funds to fight cancer. In addition, the celebration will include music, dancing, games, food and a candlelight vigil at nightfall to honor cancer survivors and caregivers and to remember those lost to cancer. 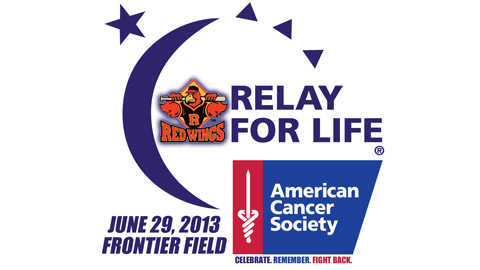 Participants interested in learning more about the Red Wings Relay for Life event are invited to attend the kickoff party at Frontier Field from 12:00 p.m. to 4:00 p.m. on Saturday, March 23 – the same day single-game tickets go on sale for the upcoming 2013 baseball season. Jeremy Sharfe, a special education teacher at Doss High School has been performing as Buddy Bat for 11 years. He recently wrote A Different Kind of Buddy and will officially release the book at the Louisville Bats annual open house for season ticket holders. 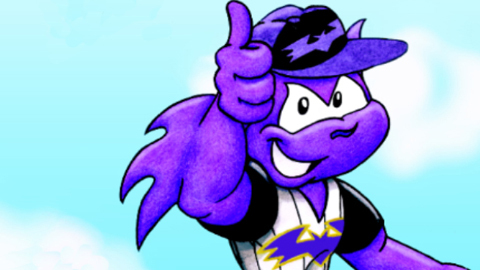 Mascot Buddy Bat and illustrator Andrew Kirby will be signing books at the event. Books are free to Bats season ticket holders attending the open house and both the author and illustrator will be available to sign books. Others interested in obtaining a book, may contact Family Scholar House at 813-3086. Books are provided as a gift with a donation of $10 or more to Family Scholar House, and all donations will support children’s programming. Family Scholar House’s mission is to end the cycle of poverty by giving single-parent students the support they need to earn a college degree. Currently, 175 families with 278 children live at Family Scholar House’s residential campuses in Louisville and Southern Indiana. All of these families are low-income and have experienced homelessness or unstable housing. FSH parent scholars are full-time college students, with children of all ages, who are pursuing post-secondary education – most often while also working – to achieve career-track employment and make a better future for their children. 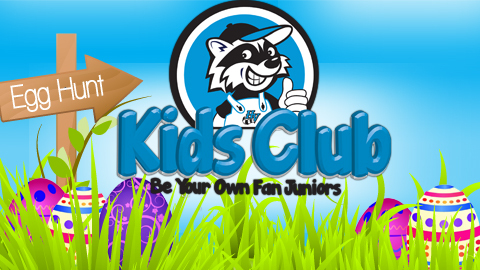 The Renegades are excited to host our 4th Annual “Kick Off to Kids Club Easter Egg Hunt” during SUPER SATURDAY at The Dutch. On April 5, 2014, the Renegades will hold 2 Easter Egg hunts throughout the day with the first at 10:30 am. and the second at 11:15 a.m.The Kids Club Easter Egg will take place on the field as eggs will be filled with candy, certificates and prizes! 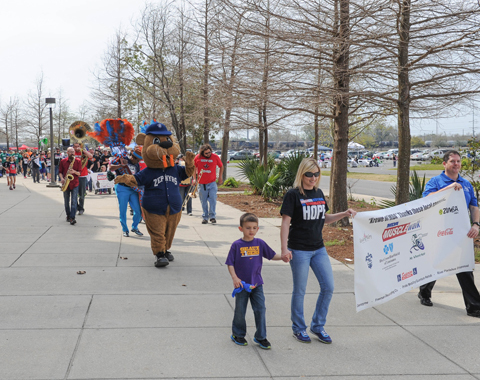 Zephyr Field was home to the third annual Muscle Walk hosted by the Greater New Orleans Muscular Dystrophy Association (MDA) on Saturday, March 9. The venue served as a backdrop for more than 700 supporters and friends, as they took the field for a walk around the park in support of muscular dystrophy research. Participants marched around the warning track of the stadium with the “Pocket Aces” brass band leading the way. The event drew laughter, music, and even a cupcake eating contest sponsored by the Kupcake Factory. Boudreaux and Clotile welcomed friends to their home, including Gumbo and Sir Saint from the New Orleans Saints, Bones and Mojo from the New Orleans Voodoo, along with the Voodoo Dolls. All mascots and participants took part in a dance competition, crafts for kids, and a fire truck display courtesy of the Jefferson Parish Fire Department. Each year the Muscular Dystrophy Association hosts Muscle Walks across the country to help raise funds for research and medical support, the largest event of its kind in the United States. This year, the event raised $50,000.00 to support local MDA initiatives.